Going to the opera, theater, or graduation? These Anthony David gold metal miniature binoculars offer the utmost elegance while giving you up close vision. They are covered with authentic Swarovski crystals and each crystal is hand-set by a skilled artisan. This makes them truly a work of art. Genuine accessory from the Anthony David Collection. Do not be fooled by imitation products. 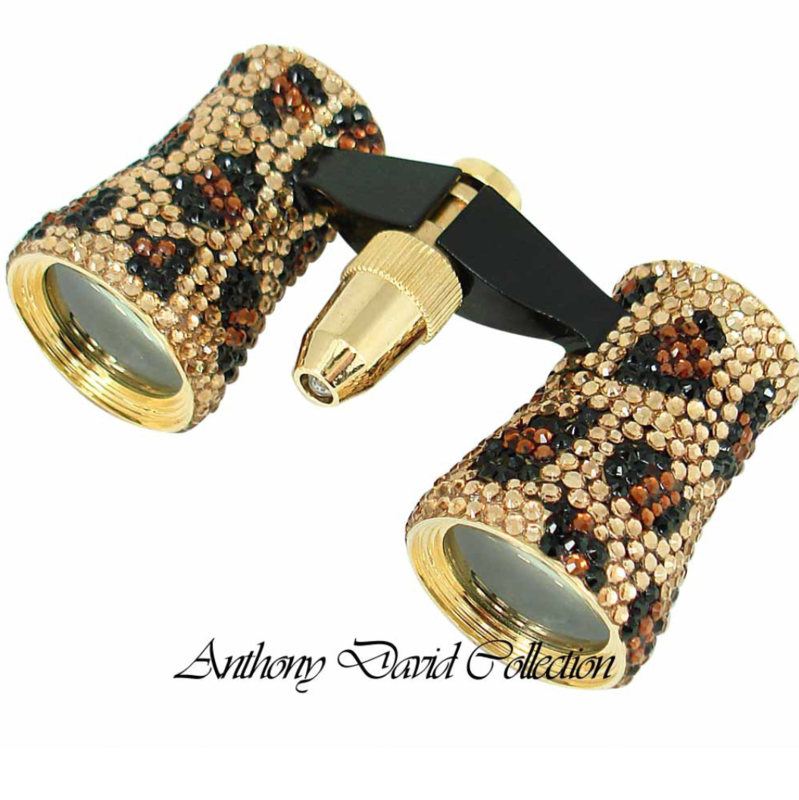 Authentic Anthony David binoculars are fully covered (not just accented) with Swarovski crystals. Adjustable bridge for comfortable fit. Laser pointer build into the center of the binoculars. Anthony David opera glasses are available in many colors and designs.